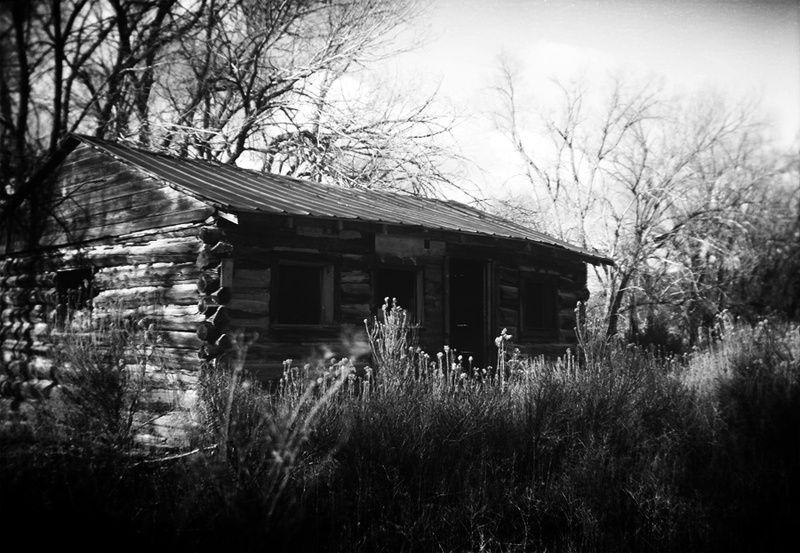 An abandoned frontier cabin in rural Utah surrounded by Cottonwoods. 120 format film. A wonderful find!! Such wonderful contrasting textures and study in b&w! i'd love to live there if i were an old coot.. ;D great capture.. Very nice monochrome! Love the movement in the grass and the play with light and shadow on the cabin. Great light on the foreground plants and building side. Very Nice. Great shot, the black and white really enhances the mood of abandonment in the shot. Nice B&W image with excellent contrasts and tones. Interesting shot of this old rural log cabin, makes one imagine what it must have been like living here. Those weeds in the forefront with the light on them is fantastic. beautiful picture with a deep feeling in it.